I wondered is there was any particular ananas associated with each of the concepts? I have started to develop my teaching plan and love the idea of developing this concept further using meditation and breathing. Is this of interest to you? Have you any ideas to share. Hi Sue. I think what you are looking at doing is important. 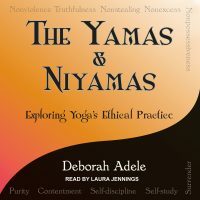 I have been exploring in my personal practice what posture embodies each yama and niyama…I have been finding that to be a rich practice, but I am still in the exploration. I know there are others who are linking certain postures with each y&n. My suggestion is to trust your own exploration and out of that share with your classes. There is no right and wrong.